SPUR supports AB 1423, a bill that would require charter cities to submit an annual progress report on housing element implementation and progress toward meeting their fair share of regional housing needs. SPUR supports the HOME-SF local density bonus program, which could help increase the number of affordable and market-rates homes being created in San Francisco. SPUR supports legislation that would expand the existing preference for affordable housing as a way to support tenants who have faced non-Ellis Act evictions. 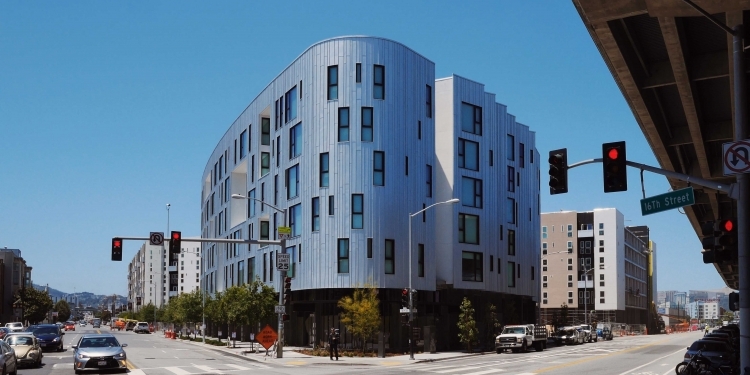 How much affordable housing should San Francisco require market-rate developers to build? A new study offers recommendations, and city supervisors will soon vote on a permanent requirement. The question they’ll face next is whether to stand by recommendations grounded in technical analysis or yield to political pressures to approve a higher requirement that sounds good but could backfire. More and more people with the means to purchase a home are turning to the few places left in the Bay Area that are still (relatively) affordable. This includes East Oakland, which experienced the Bay Area's most explosive growth in home prices, resulting in our current phenomenon of displacement without development. In a region where people largely agree with each other about national issues, our most heated political debates revolve around local land use. The emergence of a Yes In My Back Yard movement has the potential to change long-unchallenged political dynamics.